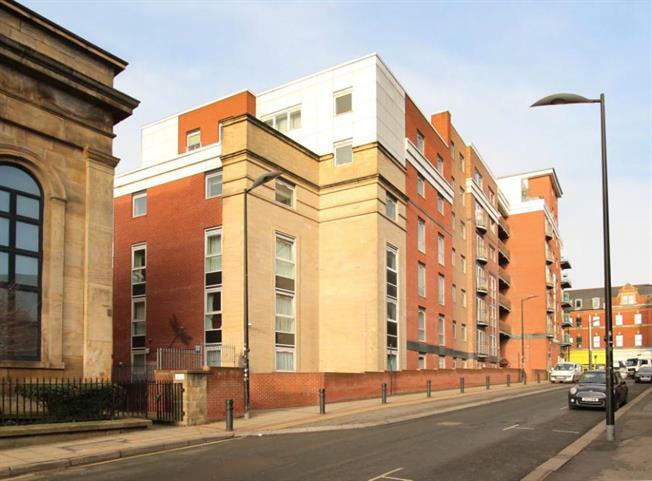 2 Bedroom Flat For Sale in Sheffield for £220,000. We're excited to offer for sale this beautifully presented two bedroom apartment situated within the popular Royal Plaza complex. The property on offer boasts more than 1,000 Sq. Ft and is situated in the heart of the City Centre. Large and open plan living / dining area with a clearly defined and separated kitchen space. The lounge is dual aspect, with views over Westfield terrace. You'll find lovely fitted blinds and curtains adding a privacy to the apartment, without sacrificing too much light. The kitchen includes a wealth of base and wall units offering plenty of storage space. You've also find many integrated appliances including; large fridge / freezer, washing machine, dish washer, electric cooker and fitted microwave. You'll find two large double bedrooms with ample space for storage, and the master bedroom includes its own en-suite shower room. Both bedrooms have had newly fitted carpets, and you'll have the luxury of secondary glazing. Keeping the noise levels very low, this is a massive bonus for an apartment in this area. The en-suite and bathroom have been finished with a modern and contemporary style, again very well maintained by the current vendors. Both feature newly fitted towel rails, and white three piece suites. Apartments in Royal Plaza always provide that much needed storage space, and the same applies here. You'll find ample storage room in with the boiler, plenty of room to keep your shoes and jackets tidied away! The building itself has always been kept to a high standard, and provides intercom access with 24 hour security on site. Royal Plaza is one of the most popular developments in the City Centre, benefitting from an array of amenities within walking distance including; shops, bars, restaurants and both Sheffield Universities. An allocated parking space is included. For further details please contact branch.